The public defender in charge of filing the challenge argued prosecutors were using the machines in a manner that resulted in unjust outcomes. Defense attorneys said their concern is to ensure that such tests are both fair and accurate and that those whose actions were not clearly in violation of state OUI statutes aren’t convicted wrongly. Of course, our Boston drunk driving injury lawyers don’t want to see anyone wrongly convicted. The crux of our justice system rests on an assurance of due process for all accused. Still, this revelation is greatly concerning. Although the cases referenced in the Boston Herald are criminal rather than civil proceedings, there are potential implications for those involved in civil litigation. 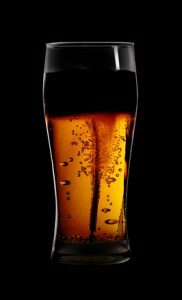 Specifically, evidence of driver intoxication can be powerful in a personal injury lawsuit wherein a person alleges the other driver was negligent. Breathalyzers are generally considered to be reliable forms of evidence on the degree of one’s intoxication. Although many crashes that result in injury also prompt authorities to take a blood sample of the suspected offender, that’s not always the case. If that breathalyzer sample is the only scientific evidence of a defendant’s impairment, not being able to use it could jeopardize the future of those cases. There are 535 criminal cases attached specifically to this challenge, though there are between 2,000 and 3,000 cases that have been stayed while the courts consider these issues. One defense attorney told Masslive.com he believes there could be as many as 20,000 cases affected. As far as what will happen to prior convictions connected to this matter, that’s still unclear. Anyone whose conviction involved a breathalyzer machine calibrated during that time is encouraged by defense lawyers to seek legal counsel on the matter. Of the 500-plus cases specifically involved in Brennan’s review, the effect of the judge’s ruling is not that those cases will be automatically dropped or convictions overturned. Instead, what the judge ruled was that the breath tests shouldn’t be considered automatically reliable. That gives defendants a window upon which to challenge the state’s evidence. So where exactly did the lab go wrong? It involves a metric called the Alcotest 9150, which is the only breathalyzer used by law enforcement in Massachusetts at this juncture. The technology has been around since the 1970s, and helps determine the level of alcohol in a person’s breath. The state’s Office of Alcohol Testing is responsible to the management and calibration of those breathalyzers. That means the office is supposed to make sure the machines are maintained and working properly. However, the judge said this duty was breached when, for two years, the office had no written policies that outlined the responsibilities of managers or scientists, and no clear protocols for testing or calibration.